Three Politically INCORRECT Cartoons By A.F. Branco | What Did You Say? Alexandria Ocasio-Cortez claims that we will not be here in 12 years due to climate change (Global Warming). 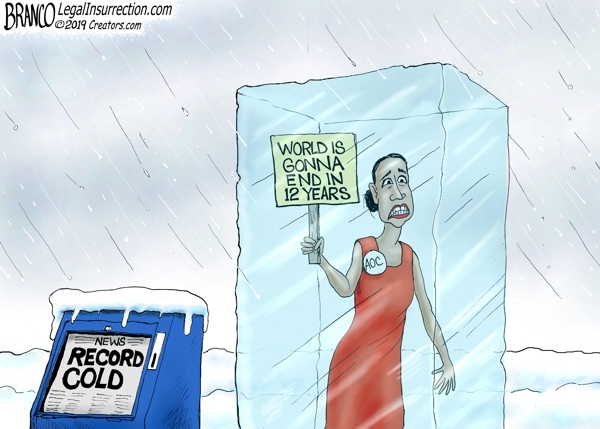 That was before the latest record cold snap spreading across America. 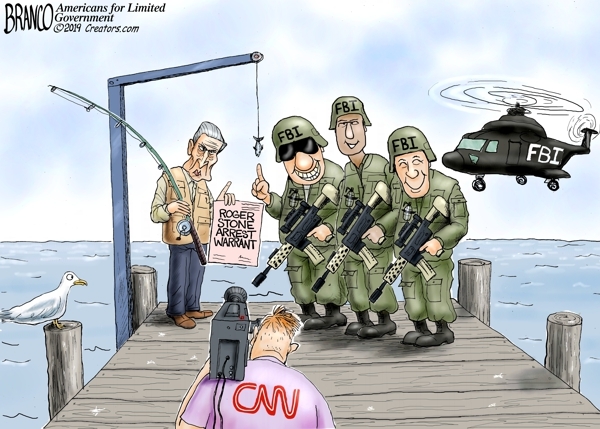 Mueller used FBI SWAT tactics when arresting Roger Stone, Some say that is a bit overkill for such a small fish. 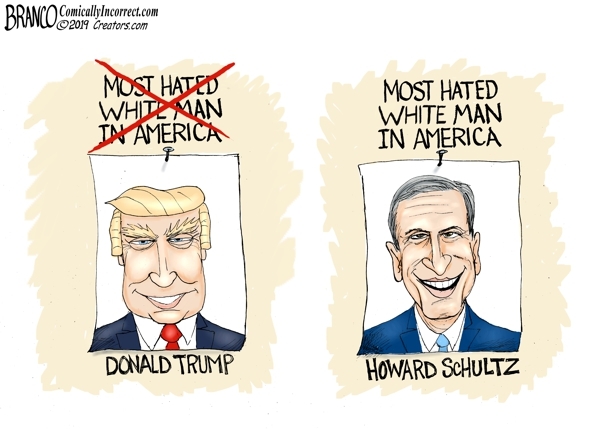 For now, Howard Schultz has replaced Trump as the most hated man in America simply because he’s running as an Independent rather than a Democrat.